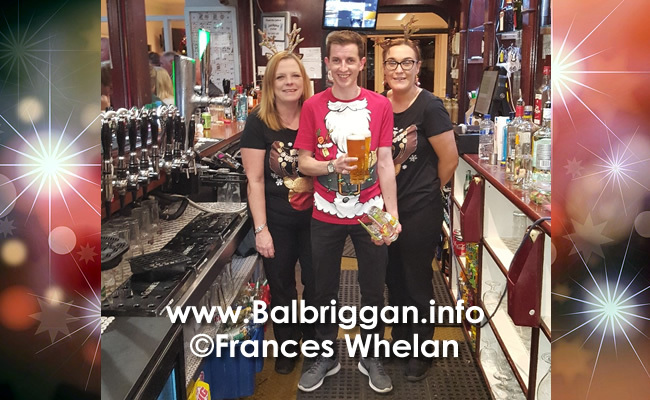 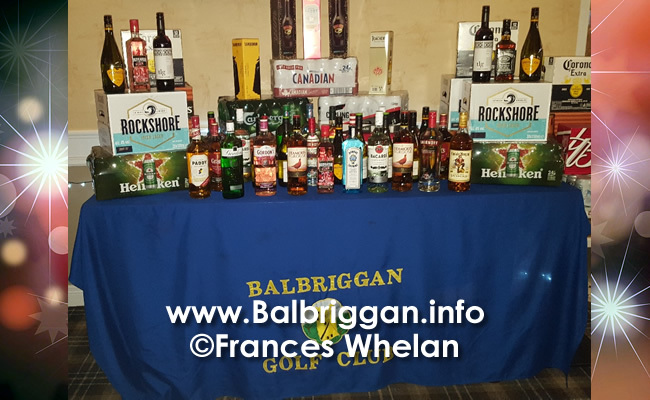 On Saturday 15th December the Annual Christmas Bottle Draw took place at Balbriggan Golf Club. 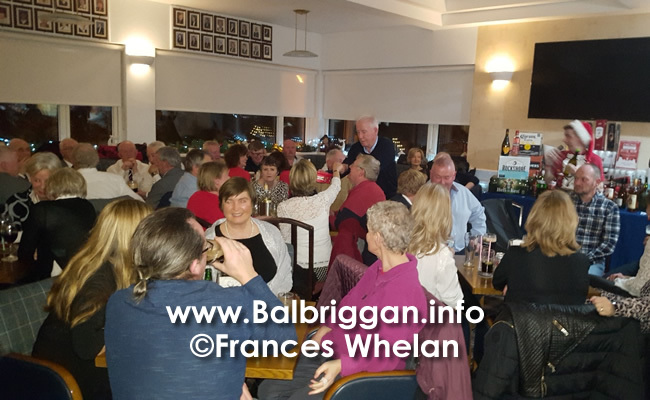 There was a huge crowd in the clubhouse & by 8.30pm there wasn’t a seat to be had anywhere. 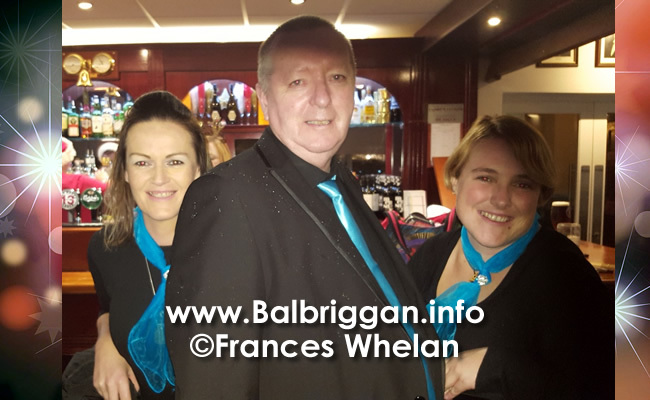 The Social Committee of Ina Hudson, Eilish Hagan, Karl Rogers & MC for the night Frances Whelan were were to ensure the smooth running of the night. 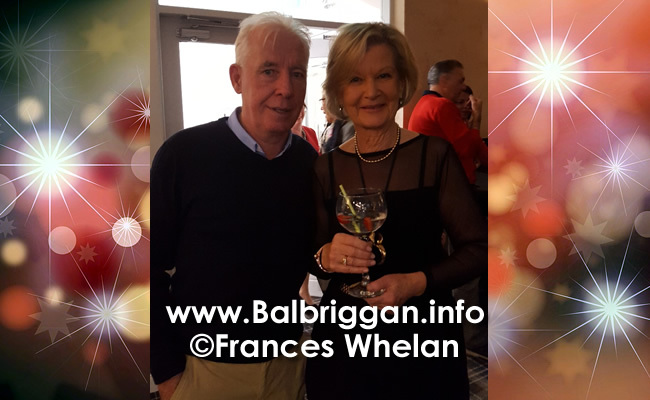 President Muriel, Captains Tony & Beatrice along with our Vice Captains Pat and Marie were also there to enjoy all the fun. 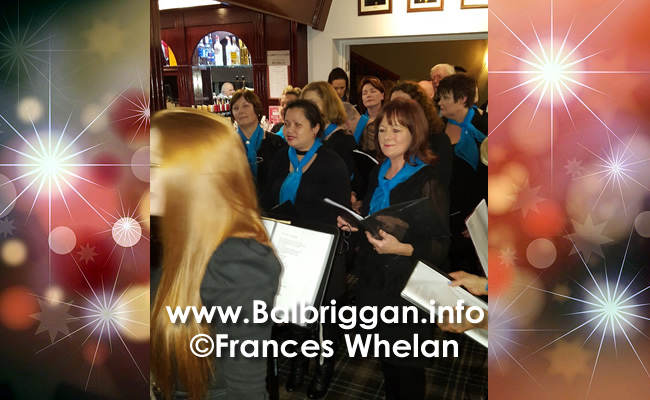 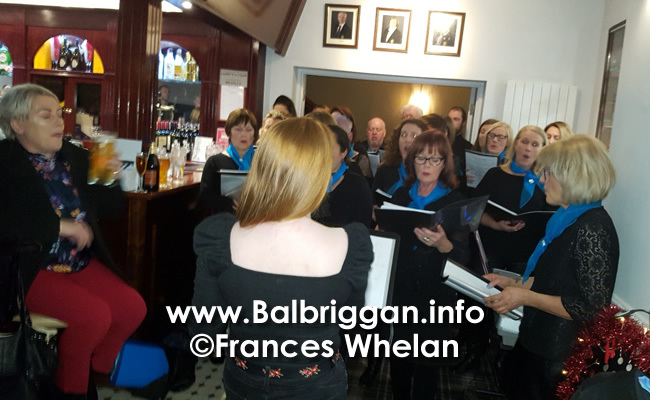 Throughout the evening The Balbriggan Golf Club Choir, the C Sharps as well as the newly formed Balbriggan Gospel Choir entertained everyone with amazing carols & popular songs. 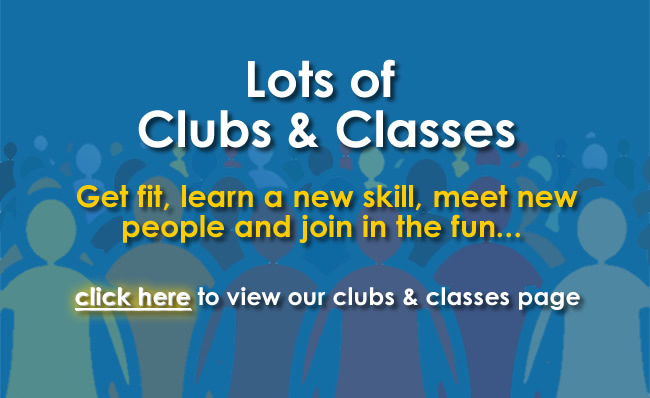 Poet Tony Curtis captured everyone’s imagination with his story telling, poetry & song. 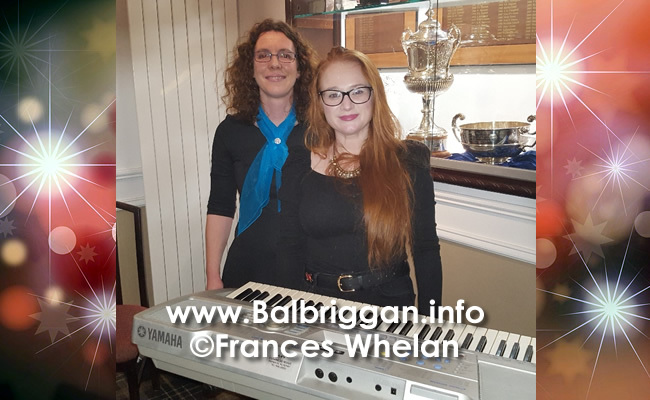 Vice Captain Pat & Stephen of KMR Catering took care of the actually Bottle Draw. 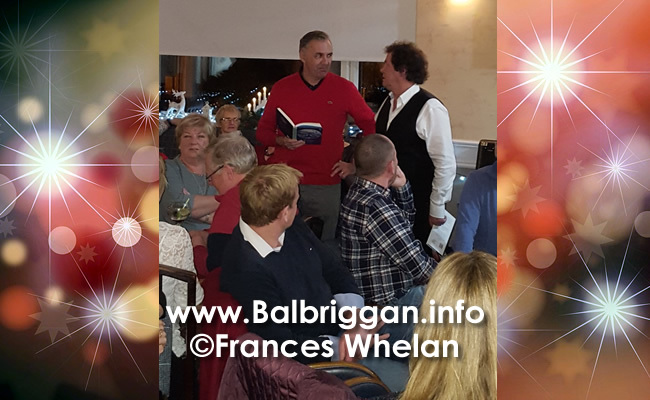 There were over 80 prizes to be won on the night. 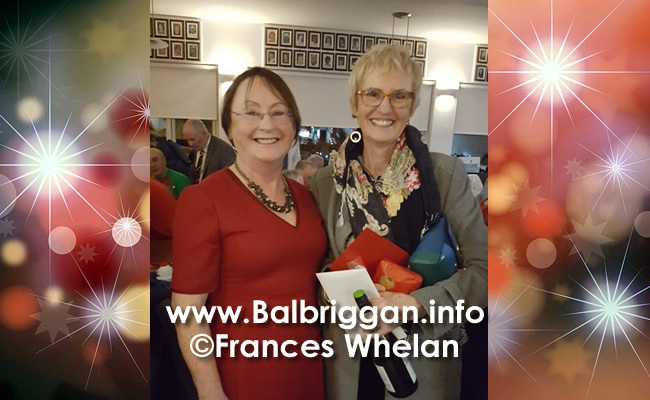 Some members were lucky to win more than one prize.!! 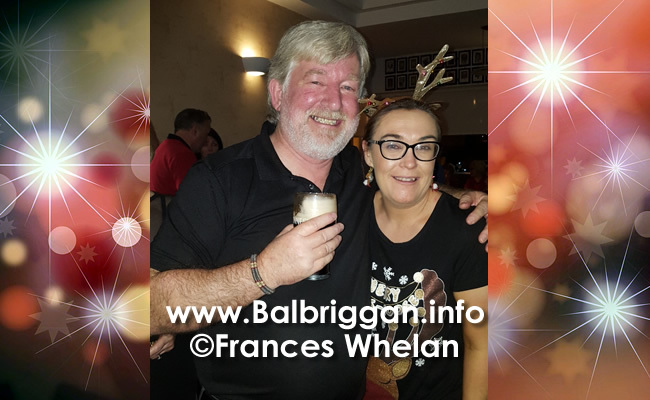 The Bottle Draw would not be complete without Past Captain Maura Faughnan organising the usual rowdy rendition of the 12 Days of Christmas. 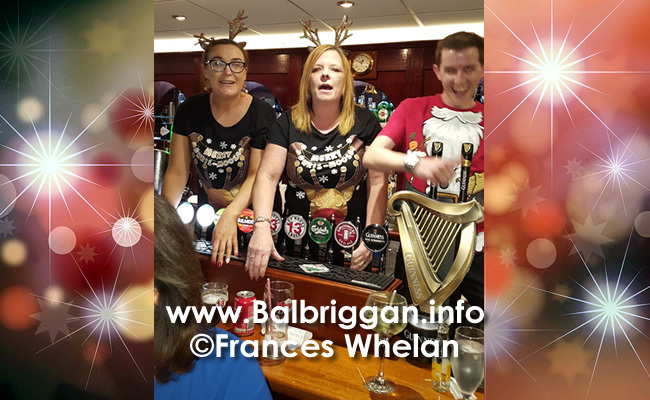 We can confirm that the singers at the Bar of the 8th Day of Christmas “8 Maids a Milking” were definitely the winners of loudest on the night. 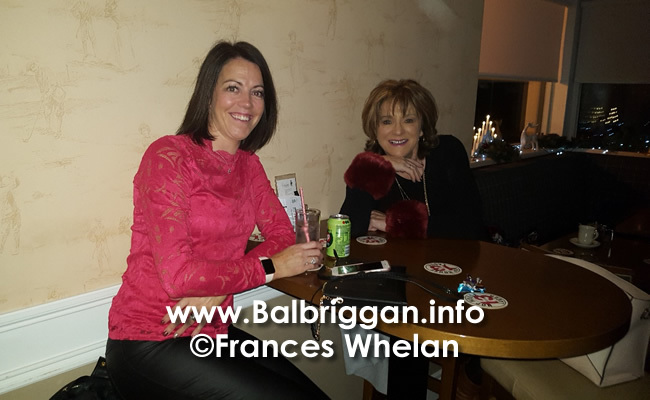 The Social Committee would like to thank everyone involved in making the night such a wonderful success. 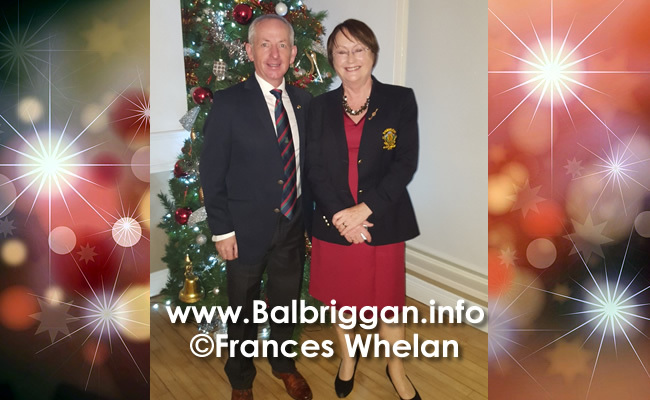 We would like to wish all our Members & families a very Happy Christmas.